Destination Engagement Session: Why You'll Want One & How to Get It! The magical moment happened! You said “yes!” Every time you look down at the dazzling ring on your left hand, you get butterflies in your stomach! And now? It’s time to start planning the whole wedding. Do you feel totally overwhelmed?! Don’t worry– That’s a completely normal feeling! Of course, you head straight to Pinterest and start looking over the million suggestions for wedding stuff! And of course you start daydreaming about a destination wedding! What could be more magical?! There are so many pros and cons to consider when deciding to host a destination versus local wedding. Either option you choose sets the stage for having a destination engagement session. However, there is a way to have the best of both worlds with either option, read more to learn about Destination Engagement Sessions! Planning a wedding is challenging enough when your venue is just down the road. You might find your stress levels rise a tad with planning a destination wedding. Luckily, there are amazing resources and professionals to help with all the details of planning a destination wedding. Destination wedding planners have relationships with venues and know all the ends and outs of planning a destination wedding. Thank goodness for that! Chances are, no matter how great your planner is, you’ll want to physically tour the destination you are considering for your wedding day. Ladies, there is no better time for a destination engagement session! Find out if you truly love that area, document you and yours falling in love with the location, and get a feel for the photographs you can expect from your wedding (if your wedding date falls in the same season). If you’re planning a destination wedding, consider your destination engagement session a trial run! If you were considering a destination wedding, but there were more pros of hosting a local wedding, a destination engagement session is perfect for you and your fiancé! It’s no secret that there are certain disadvantages for destination weddings. Personally, if I were to have had a destination wedding (which I would have adored!) there would have been family members that are very important to me and my husband that would not have been able to attend. For us, that was a deal breaker. 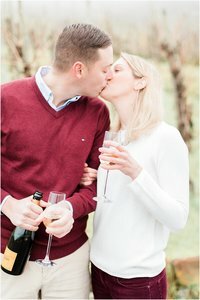 At the time we had never heard of or considered a destination engagement session, but now we know that would have been perfect for us. Exploring a new city, having one on one time to celebrate your engagement, and getting the ‘destination’ aspect you two desire are all reasons for a destination engagement session! It can also be more cost-effective than hosting a destination wedding while still having the opportunity to be overseas with your love. Not to mention who doesn’t need a romantic break during the hustle and bustle of planning a wedding?! When it comes to destination engagement sessions, you are the one in control. The session itself will only take 2 hours, then you’ve got the rest of the time to spend together. It’s a beautiful chance to reconnect as a couple and re-focus on what truly matters. First things first, start dreaming about your location! You might already have the perfect destination in mind or you might be torn between 5 amazing destinations- it happens. Maybe, you’ve got no clue where to even start. No matter where your at in ‘step one’ I’d love to help! Simply get in touch and let me know where you’re at in the process and I’ll assist from there. Over the past 6 years I’ve been lucky to have traveled all over Europe (with no plan to stop!). I love sharing all the knowledge I’ve learned along the way with my couples- I’d so much rather you learn my tips and tricks rather than make the same mistakes! My Wedding Experience page will give insight about me, why I’m passionate about being your engagement and wedding photographer, and how I can serve you and your fiancé during this epic time in your lives! I cannot wait to meet you and start planning your destination engagement session! Such a good post!! 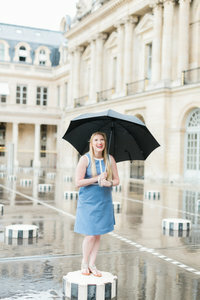 I love destination engagement sessions for exactly those reasons! It’s so nice to have the chance to explore without having the chaos of a destination wedding. 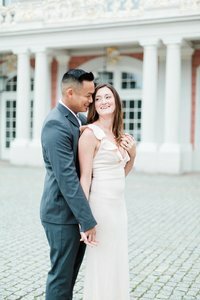 Destination engagement sessions are a genius idea! Love this advice for brides! I can say from experience that destination weddings are the hardest but also some of the most memorable and rewarding experiences you can have. GREAT ADVICE! what an incredible idea! I always wished I had an adventurous edding somewhere in the world, but never thought about a destination engagement session! So much easier to organise than the logistics of a wedding! I love the idea of getting the best of both worlds! I think it would be so fun to have destination engagement photos and then have a local wedding for all of your friends and family to enjoy! Such great advice! I love this idea. Destination engagements are such a fun way for the couple to explore new places – such great advice! I’ve never thought of a destination engagement session. That’s brilliant. I wish this was something we thought about for our wedding. If I were to do it all over again, I would absolutely do a destination wedding (or even a local wedding) but plan a destination engagement session first and foremost. Love this idea!